Ten Basic Essential Oils To Get You Started In Aromatherapy. Ten Must Have Basic Essential Oils. We need to start with some basic essential oils on our journey to a more natural and healthy lifestyle. There are some oils you really cannot be without! They are the foundation of many aromatherapy experiences. We are looking for therapeutic value and the ability to deal with a wide range of purposes, and of course.............great aromas! We also want them to be reasonably easy to obtain and understand. My number one basic essential oil would have to be Lavender. Every home should have a bottle of lavender..........even if they have no other oil. It is one of the most calming oils, capable of many important jobs and is truly indispensable! It is great for treating wounds and burns, and can be applied directly to your skin. It has many healing properties that act on both a physical and psychological level. It has a delightful floral and woody smell which almost everybody loves. Tea tree oil has an impressive range of properties. It is anti-fungal, anti-bacterial, anti-viral and has a powerful antiseptic action. It can be used for treating common ailments such as fungal infections, candida infections, acne etc. In the past I have used it to help with verrucas and it has worked very well. It has a strongly medicinal, spicy smell. My number three basic essential oil is Chamomile. Chamomile is very good for the treatment of nervous conditions and insommnia. It is anti-bacterial and antiseptic but is mostly valued for its anti-inflammatory properties. Chamomile essential oil is particularly good to use with children and can help with tetchiness and teething problems! It has a warm, fruity aroma. This is a very balancing essential oil which seems to work wonders on the mind, body and spirit! It works very well on chillblains and is often used in skincare. It is frequently used as an anti-depressant and also has antiseptic and astringent properties. 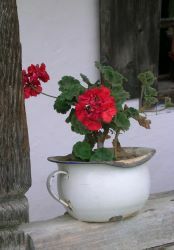 As you can see, Geranium essential oil has many diverse applications. Geranium has a lovely, girly, floral fragrance which is uplifting whilst also working as a sedative. My fifth basic essential oil is Eucalyptus. Eucalyptus essential oil is best known for its effectiveness against coughs, colds and rheumatic conditions. It is also great for boosting the immune system and relieving aching muscles. It has a strong balsamic, camphorous aroma - very distinctive! This is one of the most stimulating and uplifting oils. When mixed with a carrier oil and used for aromatherapy massage, it's very good for relaxing muscles without making you feel dopey. 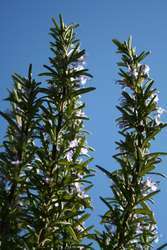 Rosemary essential oil has a woody, camphorous fragrance. Basic essential oil number seven is.......Lemon. This is a good anti-bacterial oil and is helpful for treating wounds and infections. It's wonderful, when added to water, for cleaning and deodorising your house.....especially if you have pets! A very uplifting yet relaxing oil. Lemon has a light, citrus, zesty smell. This is a beautiful oil and one of my personal favourites! It helps slow breathing down and has a calming effect on emotions. It is also one of the most useful oils for respiratory infections, especially when used in aromatherapy massage. Frankincense can also help with those dreaded wrinkles! It has a fresh camphorous smell. At number nine is Peppermint. Peppermint has been used for thousands of years, probably because of its digestive health properties. This makes it a good oil for the treatment of indigestion, bad breath and flatulence. It is also good for stimulating the mind and improving clarity and alertness. If you want to get rid of mice, mosquitoes or ants, this is the oil to reach for! 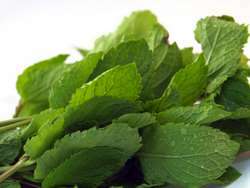 Peppermint essential oil has a fresh and distinctive menthol smell. Last but not least at number ten is..........Rose. Rose essential oil has very feminine qualities and so is very valuable in helping with menstrual problems or women who are suffering from depression, tension or just feeling sad perhaps as a result of a break-up. The effects on an emotional level are probably just as important as those on a physical level. It is also a very good oil to use for skincare. Rose has a rich, sweet, floral aroma. I am actually going to sneak a number eleven in at this point.....because I wouldn't be without my black pepper essential oil! Black pepper oil is great for cheerfulness! I mainly use it in aromatherapy massage or a soothing bath, for aching muscles and fatigue. Both my husband and I are involved in different sports and have many friends who are also sporty, so this oil is invaluable! 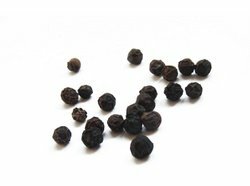 I have also found that black pepper blends well with other oils and can give a different 'twist' to some mixes, which works well for me. This essential oil has a pleasant, warm aroma - with a bit of a kick! So.....these basic essential oils would certainly make a good starter kit to have at hand. The ones I have chosen are quite common, generally easy to find and not too expensive. They also cover a good range of health and household problems. Of course you may not agree with all of my 'Top Ten' (or should I say eleven!) and you probably have some of your own essential oils that you would not be without. 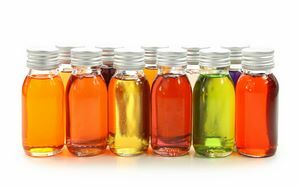 That is one of the wonderful aspects of aromatherapy........it is very individual, and different people may use different oils or blends to treat the same ailment or problem. Find out about essential oils for wrinkles here. Have fun building up your range of basic essential oils! Which essential oils would be in YOUR Top Ten? Share Your Tips On How You Use It! Found an essential oil that you absolutely love? Don't keep it a secret! Tell us what it is and how you use it. Click here to see the rest of the form and to share your favourite essential oil. Click on the links below to see favourite essential oils and their uses. They were all written by other visitors to this page. This oil is number 1 for massage. It is long lasting and when you have finished it is easy to wash from your body. Exotic and comforting scent that takes me back to my teens. I use it in an oil burner to relax in the evening. It's soothing and stimulating at the same time. I love how it eases the mind for meditation.